For those who've seen the musician's selfies with her pets and trippy animal-themed posts on Instagram, Miley Cyrus' most recent plea for animal rights will come as no surprise. On Tuesday night, Cyrus called upon her Instagram followers to take action by signing a petition against Canada's massive wolf cull. In a caption, Cyrus writes that changes are needed "in a world that at times needs to reevaluate its morals when dealing with kindness and compassion towards animals." In January the British Columbia government began a controversial 5- to 10-year wolf cull, which it claims will protect endangered caribou, one of the wolves' prey. However, the plans have fallen under criticism from wildlife conservationists who argue that killing hundreds of wolves each year isn't the answer. "This unscientific and unethical wolf cull is a consequence of oil and gas development, and industrial logging, which have endangered woodland caribou. … Rather than address the real problem, i.e. the destruction of life sustaining caribou habitat, Alberta has chosen to scapegoat wolves … "
As of Wednesday morning, the petition, organized by Pacific Wild, had reached over 196,000 signatures. 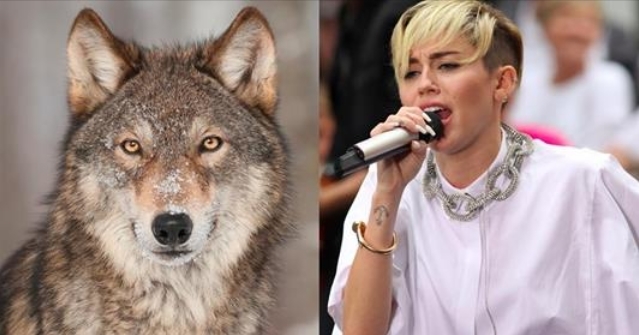 Responses to "Miley Cyrus Speaks Out Against Cruel Wolf Killings "